This paperback edition includes an album download and full lyrics inside! Thanks to “pending litigation” and “media scrutiny,” Tom Henderson has just been sent to a new institution of higher learning—and man is it bleak. Clearview High is filled with the nauseating odor of school spirit. Worse than the scent, though, is the total lack of Sam Hellermans, and the confusing abundance of girlfriends. The rules have all changed. Except for the part about how you can never find a drummer who can count to four. Good luck with that one. 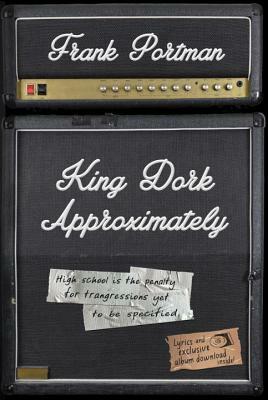 From critically acclaimed novelist and pop-punk icon Frank Portman comes the companion to the cult classic King Dork. It feels like the first time. Like the very first time.